Dawoud Bey. 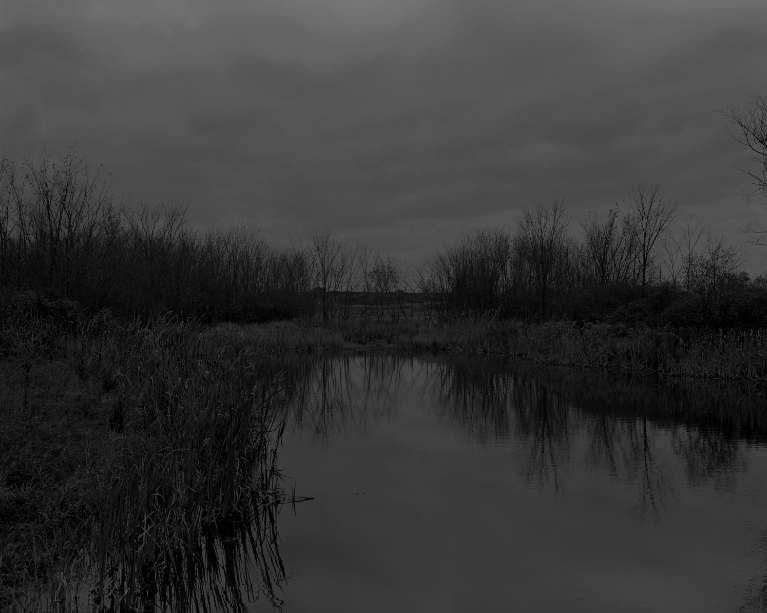 “Untitled #12 (The Marsh).” Photograph. Where does a piece of art end, and the rest of the world begin? Such odd, philosophical questions are posed by Dawoud Bey’s Night Coming Tenderly, Black, one of the exhibits comprising the first FRONT International Cleveland Triennial for Contemporary Art. For the artworks in this installation gain meaning not only from what they depict, but from the venue in which they are displayed. Specifically, the show uses St. John’s Episcopal Church, a former safehouse for blacks fleeing from slavery, to exhibit photographs simulating the sights and terrors of freemen’s late-night exoduses. St. John’s no longer functions as a typical parish with weekly liturgical services. However, it has remained in use (if not as a church, as a community center and historic site) since the 19th century. This fact confers on Bey’s exhibition significance it otherwise would not have. The history of the venue reminds viewers that, in a sense, the past is present. Firsthand experience with legal chattel slavery has passed out of living memory. 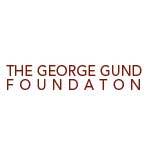 But organizations that enforced and resisted slavery—churches, the U.S. legal system, the Democratic and Republican parties—still exist, and interact with the peculiar institution’s legacy. St. John’s is a concrete place, just a few blocks from the breweries and brunch spots on West 25th St. You can walk inside the church, see its chipping paint and hear echoes off its ceiling. It is humbling to reflect on history while occupying the space where it happened. Bey, a professor at Columbia College Chicago and 2017 recipient of a MacArthur “Genius Grant” Fellowship, shot 14 images for the Night Coming Tenderly, Black around Cleveland and Huron. Some of these sites had real historic significance to the Underground Railroad, others did not. The pictures are dark, made entirely of shades of black and gray. No human figures populate Bey’s scenes. Instead, his camera serves as a pair of eyes for an unnamed subject who is imaginary, but rooted in the historic facts of Underground Railroad travelers. Dawoud Bey. “Untitled #15 (Forest with Small Trees).” Photograph. 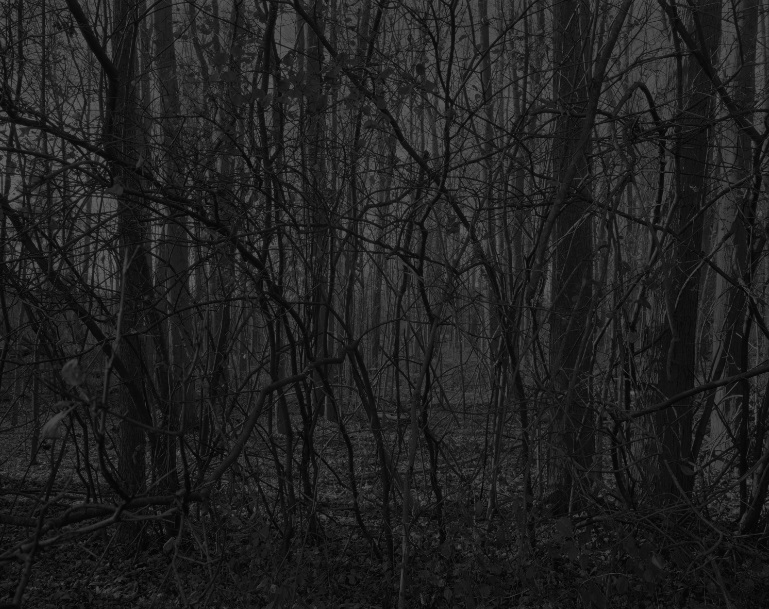 Bey’s photos depict thick woods, farmhouses, and open fields under moonless skies. Nighttime tends to provoke unease. When Bey invites us to consider nocturnal scenes from the perspective of an escaping slave, they are outright threatening. Neither enclosed spaces or open ones offer relief. When Bey shoots scenes in woodlands, the surroundings feel hot, oppressive, too close. Branches and parched vines almost touch the camera lens. We wonder how we can pass through the underbrush without making a rustle. When a field opens up before us, we dread stepping into it and becoming exposed. When we see a stream, the obsidian surface seems lazy, almost still. But we know that in the darkness, we cannot tell how deep it is, or how fast the current flows. Dawoud Bey. 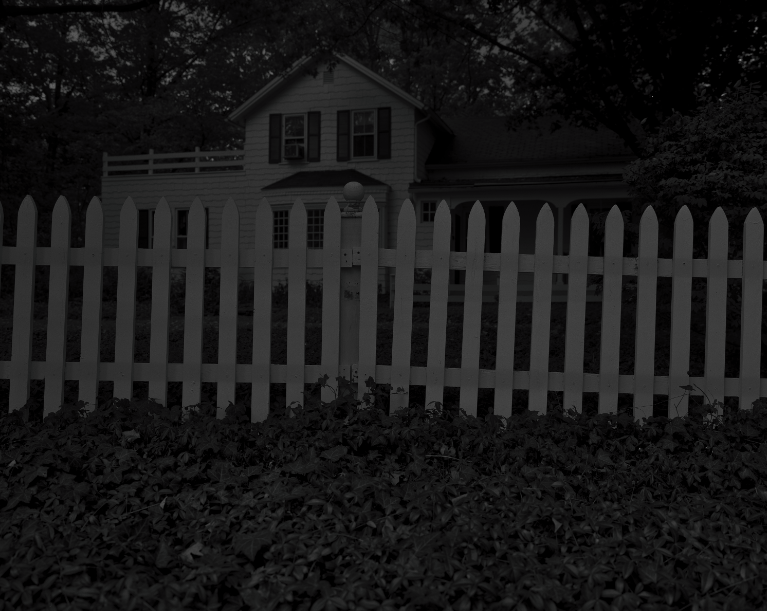 “Untitled #1 (Picket Fence and Farmhouse).” Photograph. Looking at Bey’s nature scenes, we fear capture, drowning, getting lost, or taking an ankle-rolling step. But civilization is just as intimidating. Several of Bey’s photos depict single-story rustic houses. No light shines from them; the owners could be fast asleep, or silently spying through darkened windows. Dawoud Bey. “Untitled #25 (Lake Erie and Sky).” Photograph. None of the images offer catharsis, but some hint relief may lie in the future. One photo shows the shore of Lake Erie, stretching out to the dim horizon. The free land of Canada beckons, but we do not yet see a boat to take us there. 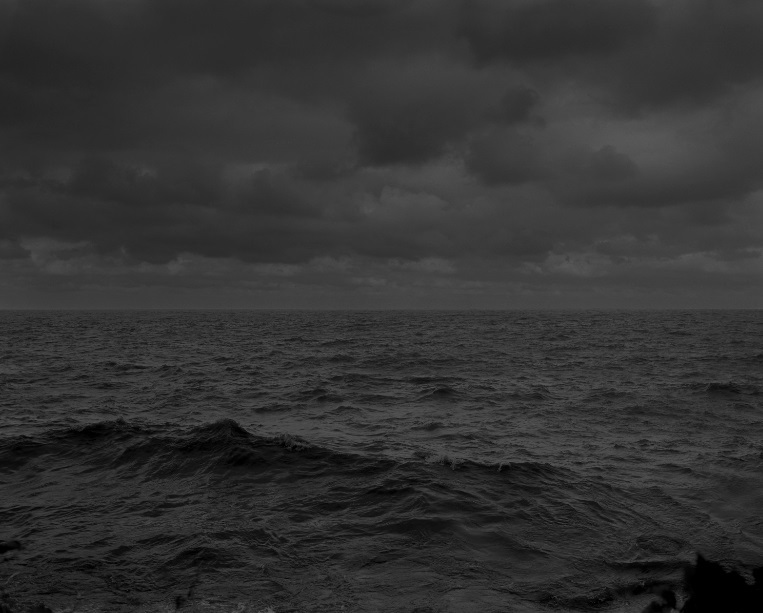 The boat may never come, and even if it does, the water offers no guarantee of security. But does allow us to hope. The photographs in Night Coming Tenderly, Black hang on thin cables, which themselves are attached to scaffolding reaching nearly up to the church’s vaulted ceiling. The photos hover over the pews. Most of the pictures can be seen from the aisles, but to get closer and make out fine details, viewers must slide into the pew row behind a given image. This unique method of display has both benefits and drawbacks. The pews add yet another layer of meaning to the venue. Scooting sideways between benches, viewers raised in religious families will be reminded of church services, and the air of reverence which characterized them. We feel receptive, willing to be led through Bey’s imaginative exercise as if it were a parable or thoughtful sermon. 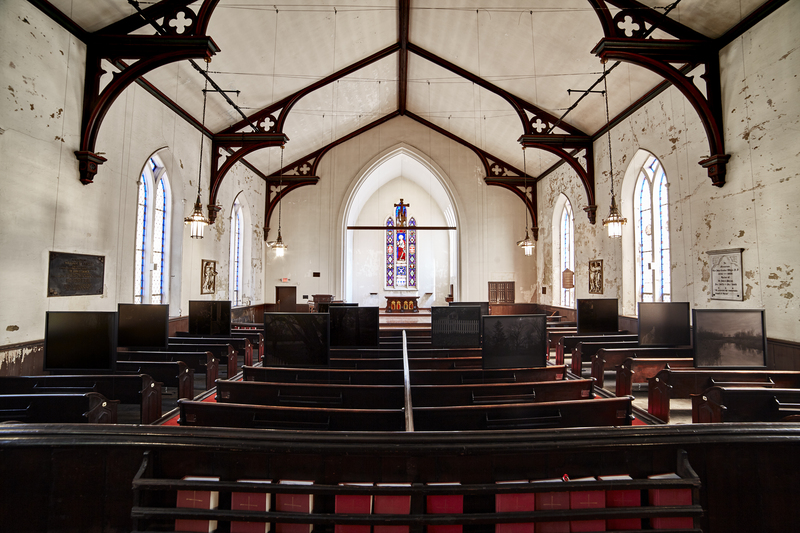 “Night Coming Tenderly, Black” by Dawoud Bey, installed in St. John’s Episcopal Church. However, maneuvering the pews may pose challenges to those with certain disabilities. The benches are on slightly elevated wooden platforms, about three to five inches high. There are about 18 inches between pews. 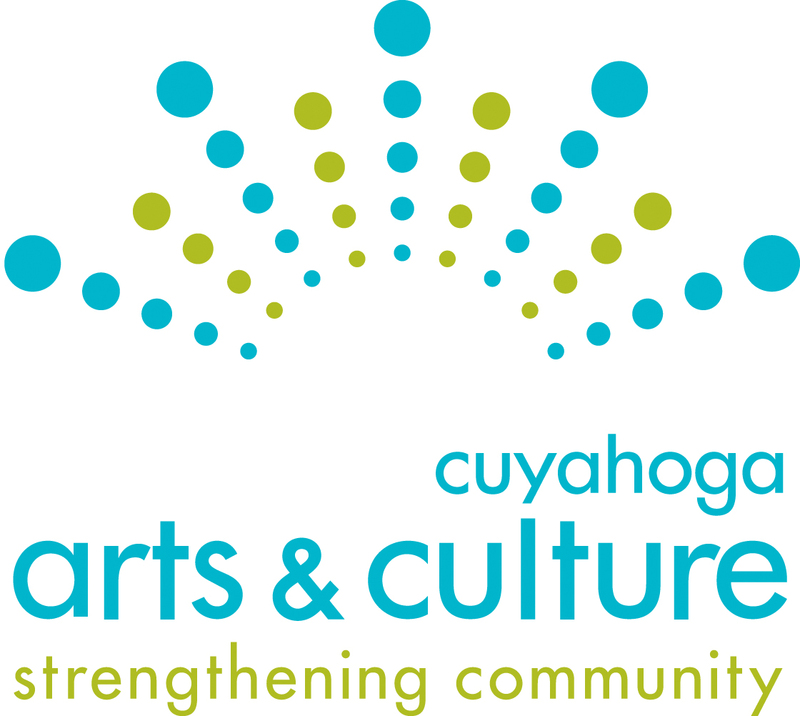 Attendees who use canes, crutches, or chairs for mobility may require assistance. From 2 to 3 p.m. Sunday Sept. 23, architectural historian Tim Barrett will give a presentation at St. John’s about the building’s past and present. The event is free, but registration is required. Night Coming Tenderly, Black will be on display through Sept. 30 at St. John’s Episcopal Church, located at 2600 Church Street. The church is open from 11 a.m. to 5 p.m. Wednesdays through Sundays. For more information, go to stjohnsohiocity.org or frontart.org. All images courtesy of FRONT International. Special thanks to Shawna Gallancy.